It is close to the end of the year and it’s time to start looking at the best of this 2013. Starting this year MMA Freak is going to choose awards for ten categories of the year. The first of these awards is the MMA Freak Hall of Fame. This award has been created to recognize the lifetime achievements of those involved in MMA, whether they be a fighter, a coach, an executive, a sanctioning individual, a governing body, or an influence on the sport in some capacity. However, unlike the UFC Hall of Fame, this Hall of Fame is not subject to the biased of one individual. The Hall of Fame classes are decided by an open ballot which all writers for the site are eligible to cast. Each writer has the power to vote for up to ten individuals ranked from lowest (10) to highest (1) with the highest ranks being given priority. The top ten individuals with the highest number of votes are inducted into the Hall of Fame this year and are ranked based on the number of votes they received. 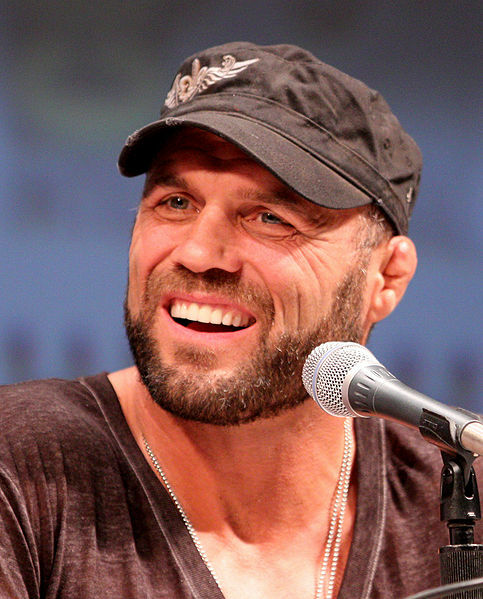 The bottom two inductees in this years Hall of Fame made it in by first place votes and Randy Couture was one of them. Couture first entered MMA in 1997 when he first watched a UFC fight and thought it would be a good way to make money while still actively wrestling. He would go onto have a decorated career winning the UFC 13 Tournament, capturing the UFC Heavyweight Championship three times and capturing the UFC Light Heavyweight Championship twice. It was inbetween his first retirement and second stint in the MMA that he would be inducted into the UFC Hall of Fame. Since his final retirement in 2011 he’s still been active coaching in the inaugural Fight Master season and commentating. As MMA Freak writer Tom Heffernan said, “Love him or hate him, he is the life blood of MMA.” Dana White first started out in the MMA industry as a manager for fighters such as Chuck Liddell and Tito Ortiz. When he learned that at the time UFC parent company Semaphore Entertainment Group was looking to sell the UFC, White contacted childhood friends Lorenzo and Frank Fertitta who bought the UFC. However, success didn’t come overnight and it was only after the inaugural season of The Ultimate Fighter that the UFC finally turned around. The UFC has encountered nothing but upward success since then and Dana White has become the epitome of perseverance. The UFC was in fact founded by Gracie, Art Davie, and John Milius when Davie approached the other two about creating an eight man tournament based on Rorion’s ‘Gracies in Action’ video series in which Gracie masters faced masters of other fighting disciplines. The event turned out to be a success when Rorion’s hand picked BJJ representative and youngest brother Royce won the tournament. The Gracie family would later depart the UFC but their legacy, and namely Rorion’s in particular, has been solidified in MMA. Writers quotes about “Big” John McCarthy include,“Been in the Octagon since UFC 2 and very much an icon of the sport, for more than a decade. Let’s get it on!” from Tom Heffernan. Then there’s,“Being the second official but definitely the first long standing referee in the sport, eventually he should be given the nod for a spot in the Hall of Fame.” from Gabriel Keith. John McCarthy first appeared in the sport when instructor Rorion Gracie advised him that he was better off as an official because of his background in law enforcement rather then as a competitor. Over the next decade McCarthy would become one of several individuals working for better rules for the sport that eventually allowed the sport to be sanctioned under what is now called the Unified Rules of MMA. Now he works on training the next generation of officials. Pierre has been ruling the UFC welterweight division since his retaking the title from Matt Serra in 2007. His record nine consecutive title defenses is a record only an exceptional athlete can beat. Definitely a future UFC Hall of Famer. There is a reason why this man has earned the name “The Huntington Beach Bad Boy.” Tito Ortiz first broke out on the scene in the UFC at UFC 13 competing as an amateur while still in college. Eventually he would go onto win the UFC Light Heavyweight Championship and set a record five title defenses that was only broken recently by current Champ Jon Jones. 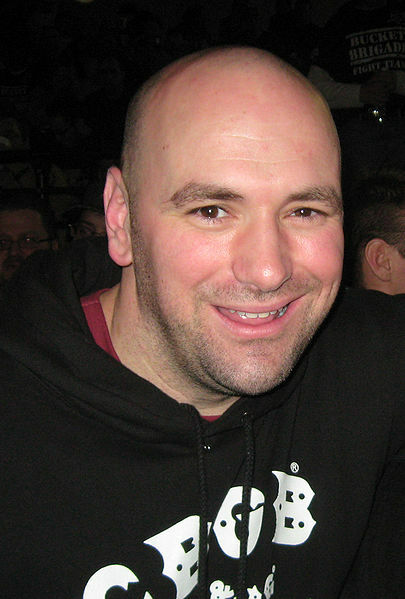 Despite is longtime feud with Dana White, Ortiz was inducted into the UFC Hall of Fame after his first retirement from MMA. He’s looking to make a comeback after his neck injury heals. Tom Heffernan used one word to describe Royce Gracie’s nomination which was, “Obviously.” Royce was the handpicked representative of BJJ by his older brother and UFC co-founder Rorion Gracie for UFC 1. Royce then went onto win three of the first four UFC tournaments. Royce then spent time fighting in other promotions before taking an extended period off and finally retiring recently. He is a UFC Hall of Famer. 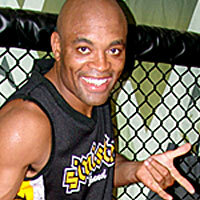 Anderson Silva was described by Tom Heffernan as,“Best pound for pound ever.“ Gabriel Keith said of Silva,“The greatest ever, will retire if Chris Weidman wins the rematch, regardless, Silva will eventually make it in.” Anderson Silva started out winning the Shooto and Cage Rage Middleweight Championships and participating in the PRIDE Fighting Championships. However, it was only when he entered the UFC that we saw him become arguably the best MMA champion of all time. He is without a doubt a future UFC Hall of Famer and a legend in the sport. Ken Shamrock was described by Tom Heffernan as,“Another guy who helped propel the sport. Scared of no one.” Gabriel Keith described him as,“A pioneer of the sport, he deserves a spot.” The top two inductees were on all of the ballots for this years Hall of Fame and Shamrock was the lower ranked of the two. Shamrock first appeared in the Pancrase while it was still a major promotion winning the first King of Pancrase tournament and also becoming the first ever King of Pancrase. He then went onto excel in the UFC winning the UFC Superfight Championship and going onto compete in PRIDE Fighting Championship and eventually being inducted into the UFC Hall of Fame. 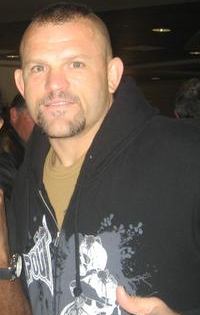 Chuck Liddell was described by Tom Heffernan as,“One of the greatest light heavyweight champs ever. Had me on the edge of my seat every time. A true stand up warrior.” Chuck Liddell was one of the earliest examples of a true Mixed Martial Artist in that he was both a karate black belt and a college wrestler before even going into MMA. He also won several amateur kickboxing championships before concentrating on MMA and competing on the under card for several early UFC’s and other minor promotions. Then in 2005 he faced Randy Couture for a second time and won the UFC title that he would defend for a significant four times (after loosing the title to Quinton “Rampage” Jackson, the title would trade hands another four times before Jon Jones would take the title to start his record setting run). A true Hall of Fame inductee. The rest of the “Best of 2013 Series” will continue after the New Year when the writers submit their final ballots for the remaining 9 categories.